Upgrade your bathrooms with Zurn urinal flush valves. These metered flushometers automatically flush urinals when the user walks away providing ultimte convenience and a sanitary environment. The Zurn AquaSense is an all in one solution to upgrade your traditional urinal flush valve to sensor activated, automatic flushers. Enjoy all the benefits of an automatic flushometer while reducing water waste and lowering your water bills. There are often high chances that if you walk into any modern public restroom or one situated in a hospital or a hotel or even an office, that you will find touch free fixtures. The situation is true especially in developed countries. Some of the popular automatic restroom fixtures include automatic dyers, dispensers and toilets. Automatic toilet flusher has a long and rich history since its inception many years back. When you compare the present automatic toilet flusher to their earlier versions you will realize and appreciate the fact that the present ones are technologically advanced and also are easy to install apart from being easy to maintain. When you compare domestic toilets to public restrooms, you will realize that the latter receives more foot traffic. That can only translate into more deposition of both feces and urine. If a flushing system happens to be defective or sub-par that would automatically lead to germs and odors left to dominate within the facility and even beyond. With the facility becoming a haven of germs and odors, it would mean that there will be high chances of disease and illness causing germs being spread. Having an automatic toilet flusher will ensure that the waste deposited is quickly disposed of which consequently would help in eliminating odor. Moreover, the automatic faucet feature will enable you to wash your hands without having to touch the faucet surface ensuring that fewer germs are able to be transferred around the facility.For the flushers, there are varieties to choose from and a Zurn sensor operated flush valves for urinals and for toilets will do the job perfectly. An automatic toilet flusher is designed in a way that it is able to, in a great way, use much less water and of course energy compared to a traditional unit. Furthermore, an auto-toilet flusher is relatively cheaper if you factor in its numerous benefits. You will be able to save money on both energy and water supply expenditures if you use Zurn brands of hands-free toilet flusher such as Zurn sensor operated flush valves for urinals and the one suitable for toilets. In the market there are a number of automatic toilet flusher options available. If you want a durable one then it is recommended that you consider chrome/metal option. That option is more durable if you compare it to plastic. 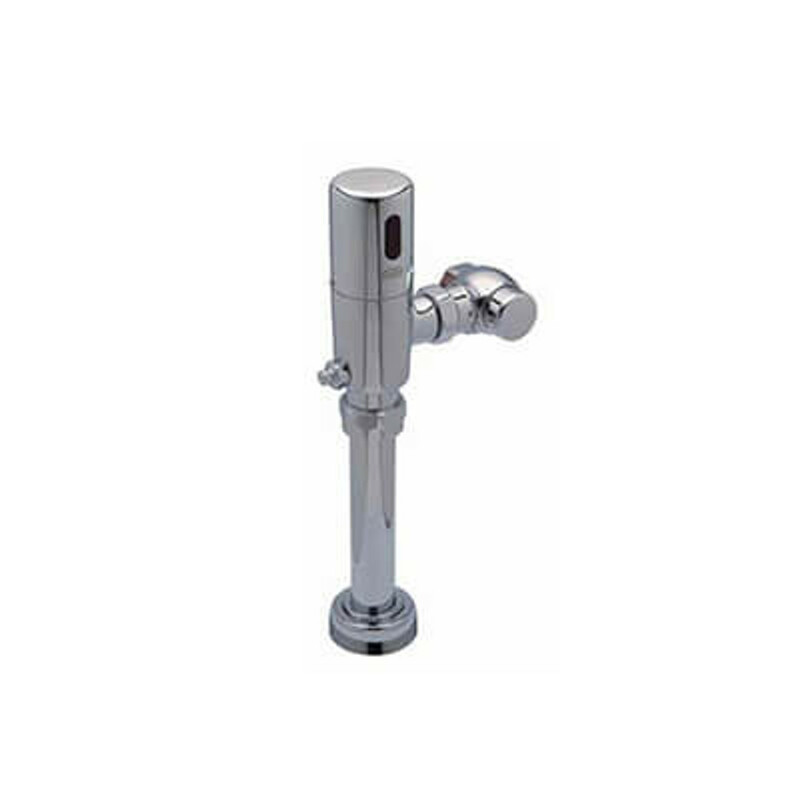 Zurn sensor operated flush valves for urinals under the Zurn brand are chrome plated and it also has chemical resistant seals for a longer life span. Furthermore, since generally with regards to an automatic toilet flusher there is less wear and tear often associated with clumsy handling,it means it will be able to stay longer. Definitely, if a more foot traffic is to be handled by the public restroom then the flusher to be chosen should be more durable. An automatic toilet flusher compared to an older system is easy to use especially by young children, those with joint/muscle pains and the elderly. With modern systems the issue of incomplete flushing is eliminated especially in regards to people in the category aforementioned as the system is easy to use. This would help greatly in the sewer line by lowering the built-up gases which accordingly eliminates the unpleasant odor often generated by flushing toilets. That is if you don’t use it for a couple of days or even weeks. In conclusion, the various features highlighted would help you in choosing the appropriate brand for your need. The brand chosen should be stress-free to install and use, durable and efficient (water and energy) among other factors to be considered. A Zurn sensor operated flush valves for urinals would do the job better.